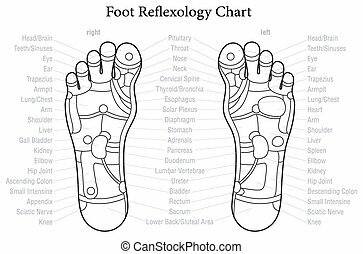 Foot reflexology chart description. 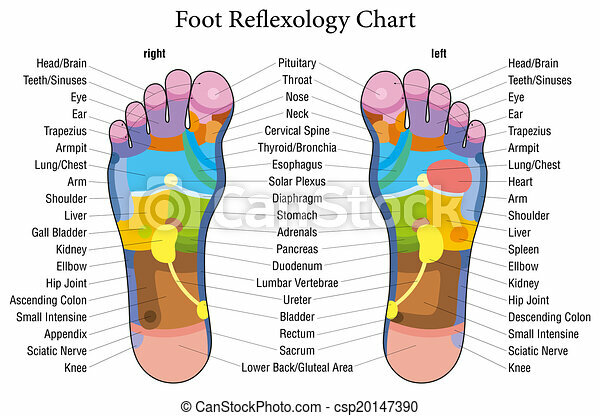 Foot reflexology chart with accurate description of the corresponding internal organs and body parts. vector illustration over white background. 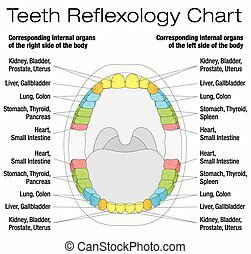 Foot reflexology chart with accurate description of the corresponding internal organs and body parts. Vector illustration over white background. Foot reflexology chart with accurate description of the corresponding internal organs and body parts. Outline vector illustration over white background. 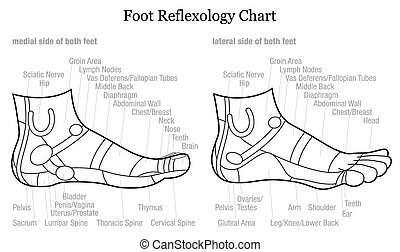 Foot reflexology chart - medial-inside and lateral-outside view of the feet - with description of corresponding internal organs and body parts. Outline vector illustration on white background. Hand reflexology chart with accurate description of the corresponding internal organs and body parts. Vector illustration over white background. 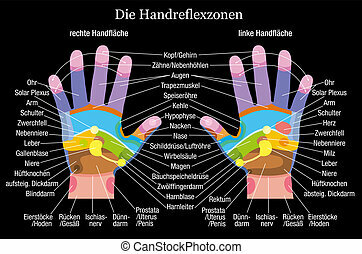 Hand reflexology chart with accurate description of the corresponding internal organs and body parts. Vector illustration on black background. 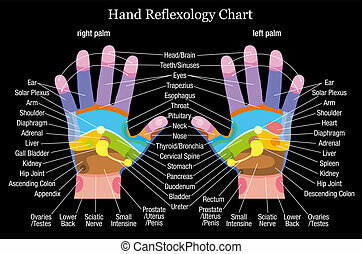 Hand reflexology chart with accurate description of the corresponding internal organs and body parts. German labeling! Vector illustration over white background. 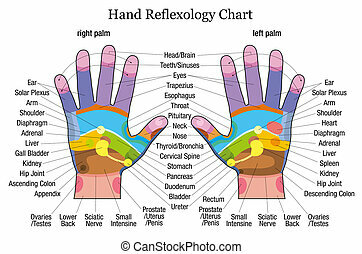 Hand reflexology chart with accurate description of the corresponding internal organs and body parts. German labeling! Vector illustration on black background. 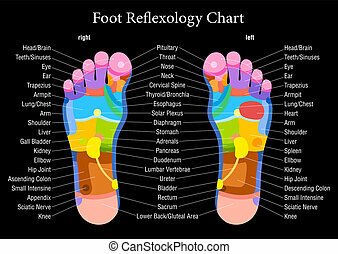 Foot reflexology chart with accurate description of the corresponding internal organs and body parts. Vector illustration on black background. 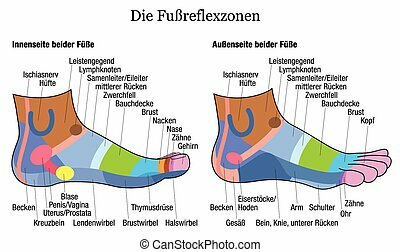 Foot reflexology chart with accurate description (german labeling!) of the corresponding internal organs and body parts. Vector illustration on black background. Foot reflexology chart with accurate description (german labeling!) of the corresponding internal organs and body parts. Vector illustration over white background. 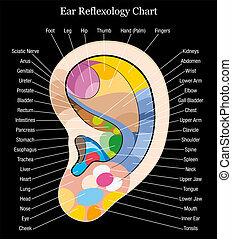 Ear reflexology chart with accurate description of the corresponding internal organs and body parts. Isolated vector illustration over white background. 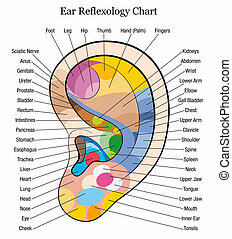 Ear reflexology chart with accurate description of the corresponding internal organs and body parts. Isolated vector illustration on black background. 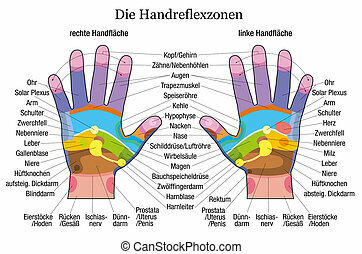 Foot reflexology chart - inside and outside view of the feet - with description of corresponding internal organs and body parts in GERMAN LANGUAGE. Outline vector illustration on white background. 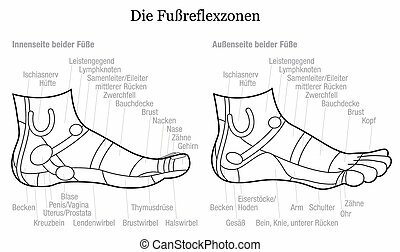 Foot reflexology chart - inside and outside view of the feet - with description of corresponding internal organs and body parts in GERMAN LANGUAGE. Vector illustration on white background.